Romney Marsh Osteopaths can help you maximize your recovery potential with the addition of self-help advice as set out below. Please ask your practitioner for more information. Hydrotherapy, such as Ice Packs or Deep Freeze Cold Gel, if added to your daily regime may aid inflammation dispersal and therefore more rapidly reduce your symptom levels. These products are inexpensive and readily available within the practice. Supplements can often be of great benefit, when used in conjunction with a treatment program. Please ask your Osteopath for specific advice/in house ordering options. Joint Supports may occasionally be of benefit during your rehabilitation and therefore prescribed and ordered on your behalf by your practitioner. Because we have a wide range of suppliers it should be easy to find your perfect option. Pillows and Mattresses are hugely important as we spend a third of our time asleep therefore the right product is a crucial part of maintaining good posture. Over the years medical opinion has changed considerably and consequently a rock solid mattress/conventional pillow is no longer deemed advisable. 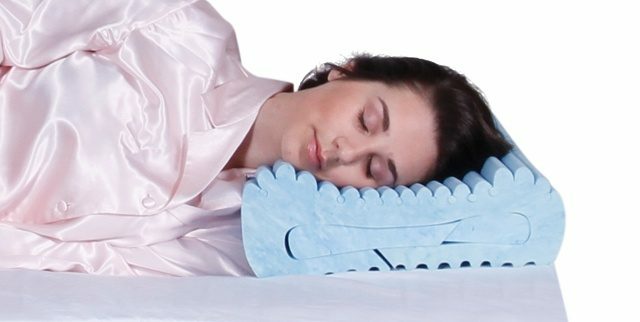 Memory foam has become very popular in the mattress and pillow industry and rightly so because of its ability to mould to individual body shapes, therefore offering pressure free support whilst maintaining optimum, tailored to you, spinal alignment. At Romney Marsh Osteopaths we have a range of memory foam samples as well as a pillow sale or return scheme. Our Osteopaths will be happy to help you choose the right product and arrange delivery on your behalf. Please call into reception for further details/literature.